The challenge of motherhood can be daunting. Just thinking about the responsibility of bearing a child and what it means once you give birth is outright stressful. Motherhood is a lifetime commitment. The entire pregnancy process is nine months long, where you have to deal with your body changing to accommodate the life growing inside you. Of course, coupled with stress, once the pressure and anxiety of the unknown come crashing down on you, you’ll feel sad and fatigued. That’s perfectly normal. Once your body has begun changing significantly, it will naturally affect the state of your mental health as well. If you’re feeling sad, lonely, nervous or worried, don’t hesitate to reach out and ask for help. It’s essential that concerns such as this one are given notice right away, and not ignored. For you and your baby’s health, you should take care of yourself as much as you can. Sleep on time, eat healthy foods on time, exercise and regularly take your vitamins. If you feel like you need help, especially with regards to your mental health, don’t hesitate to reach out. As you go through your pregnancy, you’ll quickly realize that you’ll need a support system to get you through this experience. Don’t keep your problems to yourself. When it gets too much, reach out. 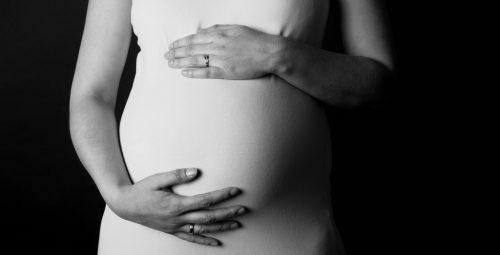 About 15% of women will develop depression or anxiety during pregnancy. 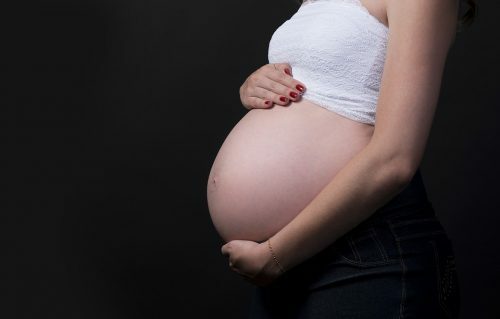 These are among the most common mental health problems during pregnancy. Some illnesses that women are prone to during pregnancy are depression, anxiety, and in some cases, bipolar disorder. One out of ten women experiences antenatal depression, which is not uncommon. Antenatal anxiety is also a common illness and may be experienced together with depression at the same time. Antenatal depression, if left untreated, can be a precursor to postpartum depression. Depression is a mood disorder that affects 1 in every four women during the span of their entire life. Pregnant women are not an exception. However, diagnosis of depression can be during pregnancy due to a tendency of it being just another type of hormonal imbalance. Depression during pregnancy is called antepartum depression. It is a biological illness that involves changes in the chemical makeup of the brain. During pregnancy, hormone changes can affect the chemicals in your mind which are directly related to depression and anxiety. Anxiety is a feeling of unease, worry, and fear that can either be mild or severe. Some people with anxiety are also at risk of having panic attacks. Pregnant women may feel an overwhelming amount of worry, fear, anxiousness, and panic despite being okay physically. You have to remember that anxiety is a mental health condition and though you appear okay on the outside, doesn’t always mean you’re okay on the inside too. Anxiety in pregnancy is usual, with a ratio of 1 in every ten women having it. Pregnancy and childbirth are major life events, so it’s understandable if you’re in utter fear of what the future may bring. Both can baffle you and affect your mental health significantly even without you noticing, so it’s essential that you talk to someone about your feelings and emotions. Treating mental illnesses like depression and anxiety are treated the same way with pregnant women as with non-pregnant women. Once you’ve reached out and there has been a diagnosis of your mental health, steps will be taken to ensure you’re getting the help you need and deserve. Treatment includes weekly counseling and therapy sessions, and doctors might prescribe some safe medicine that can help ebb the hormonal imbalances in your brain. Safe exercises might also be suggested, like yoga and meditation. Your doctor might recommend any treatment that brings forth peace of mind and your overall wellbeing. Talk to your doctor or your gynecologist. With pregnancy bears a lot of pressure and expectations that might get the better of you. It’s important to discuss these emotions and feelings with someone else, someone you trust, so they can guide you and possibly lessen the burden you are already carrying as a would-be mother. Motherhood is a fulfilling but entirely stressful experience, which is why you deserve to get as much help as you can as you journey down the road of procreation. 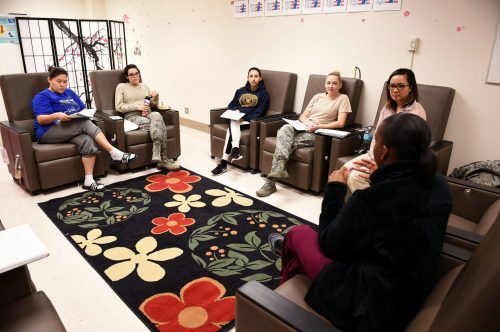 Although being able to bear a child gives an immense sense of fulfillment for most women since it signifies that their lives have come to a full circle, going through it tends to make some develop a mental illness. The typical ones that expectant mothers get diagnosed with are anxiety, depression, and mood disorders. After all, it is not only your hormonal level that changes every month but also your body and priorities. That tends to be difficult to deal with, regardless of how much you want to have a baby. Hence, here are six ideas to make things more bearable during your pregnancy. While the momma does need to consume enough food for two people during pregnancy, you have to watch your diet still to ensure that you will not go beyond the weight limit. If you become overweight with a growing baby in your womb, it may be difficult for you to move around or give birth naturally. Considering you always work under a lot of pressure, you may need to take a leave of absence as that side of your life might stress you and your unborn kid out. Extreme fatigue can make one’s condition troublesome, or worse, cause a miscarriage. Thus, the mother has to obtain more relaxation times. 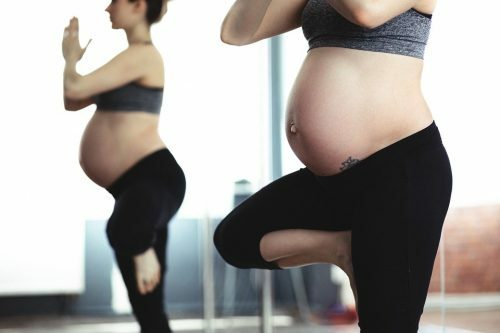 There are exercises that trainers designed for mommies to ascertain that you are still physically active even when you are pregnant. Fitness offers many benefits too, such as making the delivery easier and maintaining the right weight. Pregnant women go to doctors regularly not only to get their baby checked but also to get prenatal vitamins. These pills provide the nourishment that you may not get from what you eat, you see. They can also assist in the healthy development of the fetus. Ladies tend to feel more tired than ever when they are carrying a child because the body works so hard to take care of another human being. The best way to combat exhaustion is by sleeping. This activity assures that you can replenish your energy until the baby comes. One of the healthcare examinations that pregnant women need to get subjected to is the Glucose Challenge Test (GCT). In a nutshell, it aims to help you find out whether you have gestational diabetes or not. The said condition is entirely different from Type 2 diabetes which men or women contract at any age since it only becomes apparent when someone goes through pregnancy. Why Should Gestational Diabetes Get Detected Early? Obstetricians perform the GCT on their patients who are six to eight months pregnant, in general. However, certain factors will require them to do it as promptly as the first prenatal checkup, including obesity and diabetic history in the family. 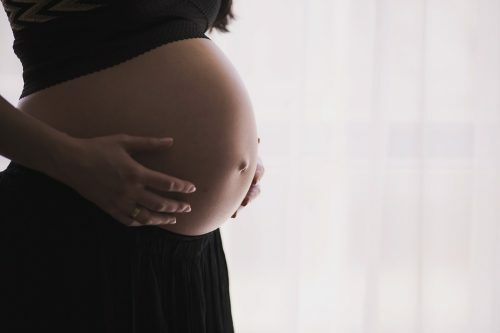 The testing for gestational diabetes should take place within this period because the amount of insulin that the soon-to-be mother produces is usually higher than usual. For this reason, it can trigger more complex issues that might take effect during pregnancy. 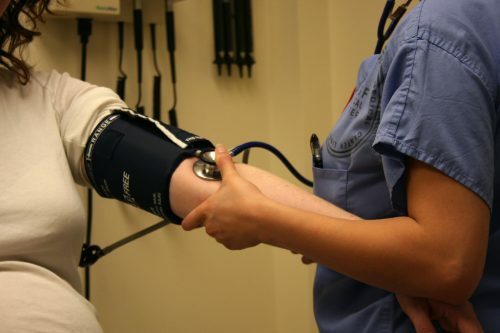 What Should Expectant Mothers Not Do Before The Examination? The Glucose Challenge Screening Test is unlike the typical blood sugar test that requires people to fast for several hours beforehand. The central ideology behind this valuation is to observe how quickly can the system process the new sugar that enters the body. Thus, you should not stop consuming the common foods and beverages that you take daily to make the test results reliable. Consequently, if you have weight problems, the doctor may also advise you to eat no less than 150 grams of carbohydrates for three straight days before the appointment. How Does The GCT Occur? On the day that you are supposed to return for the examination, you will need to drink a solution that consists of about 75 grams of glucose in a maximum of five minutes. Since it is sugar, the taste may appeal to you. If not, some testing centers offer this liquid in various flavors such as line, orange, and cola. Once you have finished the solution, you need to wait for precisely an hour before the health practitioner can draw a blood sample out of you. During this gap, you can take a seat anywhere or busy yourself with a book or smartphone, but you cannot move around too much to allow the glucose to settle in properly. For scientific purposes, the medical specialist will take a sample of the patient’s blood before the consumption of the liquid, and then twice after the one-hour window. It ascertains that they can generate an accurate report. If it turns out that you indeed have gestational diabetes, you may go through the Glucose Tolerance Test (GTT). What Can Pregnant Women Expect From The GCT? The glucose solution that they will ask you to drink does not give off an adverse side effect. But because you need to consume a sweet beverage within five minutes, you might experience lightheadedness or nausea. On a positive note, this sensation will disappear after some time without any drug; thus, you should not worry much about it. Prevention will always be more favorable than cure. Besides, if we speak of mental illness or even a physical condition like diabetes, there is usually no turning back from that. Hence, you should follow the tips given above to avoid causing trouble on yourself during pregnancy. A lot of things can happen in your life that will make you feel like the whole or entire world has turned its back on you. During these moments, it is completely okay to cry and let your emotions out. Sometimes, doing such a thing is the only way to keep your sanity. Keep in mind that experiencing difficulties and extreme challenges can be traumatic on your part. In this article, we are going to primarily focus on how to survive emotional abandonment during your pregnancy. What can you do when your hopes of creating a family of your own have become impossible? When you are suffering from an emotional trauma caused by rejection from the father of your child, it is possible that you will lose yourself. Unfortunately, it can also give rise to certain thoughts about giving up. What you need to do is to remind yourself that you are going to become a mother soon. It means that your responsibility is not only with yourself but also with your upcoming baby. Do not let your ex-lover make you think that you deserve to be lonely. Instead, embrace your pregnancy. 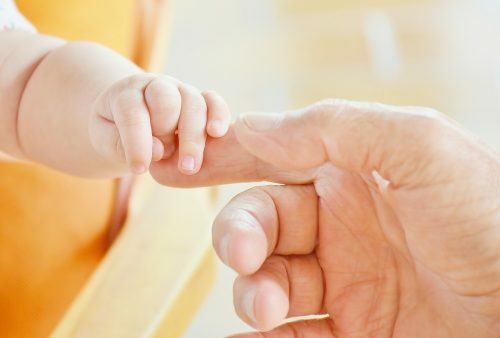 At this point, it is vital to discuss the fact that keeping a grudge within you can pose some danger or risks to your health and that of your baby. As such, it is best if you will just let go of what happened and move on from the painful experience. Just because the father of your child is not responsible does not mean that you can do the same. What is essential is to keep your head held high. Forgive your former partner so that you can truly move forward to better tomorrows. Never beg someone to stay in your life if it is obvious that he does not want to do such a thing. Therefore, you have to entertain the idea of cutting or terminating the communication ties between you and the father of your beloved kid. Keep in mind that the more you establish a connection with him, the more stressful it would be on your part. If it continues to happen, there is a high chance that you will be stressed throughout your pregnancy. Never make the mistake of keeping all your worries to yourself. Feel free to open up to someone whom you can trust. In so doing, you are somehow making a way to feel relieved about the situation. Do not forget that life is difficult if you do not have someone to talk to. The step that you need to take is to look for a true friend who will never reveal your secrets. With this person, you can let your guards down because there is a guarantee that he will support you. Another essential thing that you must keep in mind is never to feel embarrassed to ask for help from the people surrounding you. Take note that many things to take care of when it comes to getting pregnant. Hence, you must acknowledge the reality that you need to ask for help from the right individuals in your life. Call a close friend or a family member who can assist you in your pregnancy needs. Never send them away because of having a high pride. Feeling in pain because of the abandonment is not enough reason to miss your medical checkups. Do not forget that you have to see your doctor on a regular basis to check if your baby is safe. At the same time, it is also significant so that you will have an idea about your pregnancy. Remember that your pregnancy may be complicated, which is why there is a great necessity to get the regular pre-natal examinations. Trust the doctor that he will do everything he can to protect himself. Cliché as it may sound but the secret to overcoming the depression and grief brought by emotional abandonment is to keep yourself busy. Look for the things that you are passionate about and pursue your dreams. 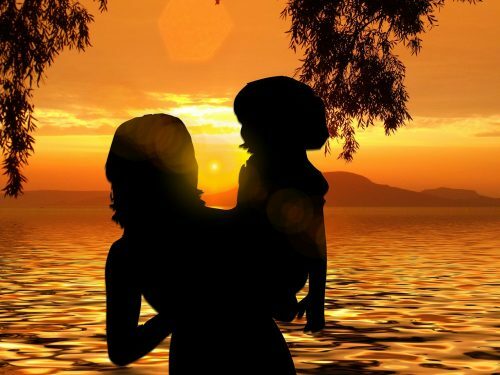 For example, you can spend most of your time reading about motherhood so that you can be confident in raising a child of your own in the next future. Another excellent idea is to attend workshops or seminars that will teach you a new skill. Do something that will spark joy in your life because you deserve it. Always put in mind that you are capable of surviving this journey without a lover or partner beside you. Trust in the love and support that others are willing to give you. Let them offer their help so that you can save yourself from sinking to the rock bottom. You can still turn your life around. Believe in what you can do and accomplish. Not all of us will have the privilege to a child of our own as this world can sometimes be unfair. Those who do not want to have a baby get the chance of having one, and unfortunately, these women think it is their right to take away a life that they opt for abortion. If this world would be kinder enough to those who genuinely deserve to be a mother, no woman will be secretly weeping in frustration for not having a baby to tuck in at night. If there’s such thing as worst frustration, it would be not having a child of our own, especially for us, women. It is our essence to become a mom, and when fate is cruel, we don’t get to fulfill our purpose, but then who says we can’t. Being a mother is not just having to conceive. It is more on what we are naturally, and women are nurturers. They can turn things lovely and pure that’s why women should not let science tell them they could not be a mom. Adoption does not make you less of a mother, and it does not make the child you raise less of a person deserving of love and care. He may not be from you, but you are intertwined for a reason, and there’s no limit to being a mom. Women are born to be one, even when physically couldn’t. Adoption can make you wonder how it would be like to have a little angel who came inside you, but having to be a mother to someone who didn’t will make your heart bigger because you are capable of loving someone born from another. Adoption makes everything more meaningful because the fact that you want to have a baby out of your desire to have one is enough to say that you are going to be the best mom. You opt for adoption because you want to be a mother, not because life made you. Adoption is not a hopeless Once you made the decision, you will realize that it may indeed be the source of hope. It could make your life more meaningful that you would understand why things didn’t work out the way you planned them. Adoption doesn’t make the child love you less, and that is for sure. There will always be a feeling of gratitude because he knows that you could go on with your life not having him, but you chose him, and that will always be something special. Not all of us will be blessed to become a biological mother indeed, but we are all capable of loving like one. Our body may hinder us, but there is nothing more important than to have the heart of a mother. It doesn’t matter if the child came from us or not. It is what we can do for him in the real world which is outside of the womb. After all, motherhood is not just being pregnant. It is about what we can do after the nine months. Going through pregnancy is one of the most marvelous things that a woman alone can experience. You get to carry another human being in your womb, and he or she may become the next superstar or President. Your loved ones seem to care for you more now more than ever because they want you to have a safe delivery. Despite that, it is impossible to dissolve worries when you are pregnant. You may find your changing body bizarre, primarily when it happens to be your first pregnancy. Many things can affect the baby in your belly, and not all of them produce excellent results. There’s also the likelihood of birthing a child with developmental disabilities – that will not show in any medical examination conducted on you throughout the gestation period. Now, for your unborn baby’s sake, we suggest practicing mindfulness to keep your pregnancy worry-free. Below are the benefits that can originate from that. Having different thoughts running nonstop in your head results to many sleepless nights. No matter how much you toss in bed or count sheep with your eyes closed, the scenarios keep playing. It is as if somebody decided to flip through the channels in your mind, and you cannot focus on anything. This problem occurs since you may have plenty of unresolved questions that you don’t want to voice out. It is up to you whether they will remain hidden or not, but meditating will allow you to find peace within yourself, whether you receive answers or not. The more you practice it, the more you can avoid being sleep-deprived. When you ask expectant mothers if they feel excited about meeting their child soon, some may look reluctant and say, “Yeah, sure.” These women feel guilty of not feeling much about the baby in their womb, which can happen sometimes. Luckily, once you practice mindfulness, you’ll be able to put other things at the back of your mind and communicate more with your unborn kid internally. That is when you get emotionally attached to him or her. So when someone asks the same question again, you don’t have to lie about your excitement to see your little one in person. Stress has a way of playing with your mind when you are close to your due date. Although your clothes, as well as the baby’s, are already in the bag, and the doctor assured you over and over that you and your child are healthy, you may still freak out and think of the adverse incidents that might take place during the delivery. The truth is that mothers usually break down like that because they are not mentally prepared for the baby’s arrival. It is the time when the expectant mom starts doubting her capability to take care of another human being. It also makes her worry about what the future may bring to the family, which should not be in anyone’s priority list right now. Once you try mindfulness meditation, though, you will be able to figure out how to deal with such anxious thoughts. You can understand that you should only be concentrating on your present life, on doing everything to deliver your baby safely. Won’t it be incredible to get to do all of that by merely practicing mindfulness? While going to your checkups and letting the OB-GYN monitor your pregnancy is important, being mindful can help reduce your worries while expecting. It is beneficial, primarily when you want to prevent complications that stress can cause. Nobody else can make that happen for you; you need to regain your inner balance first to calm your body and mind. Learn the art of mindfulness as soon as possible. Good luck! It was when she could not take the sight of her newborn child that she decided to ask for help. It feels like an endless downward spiral in a lonely world. For decades, the healthcare industry has believed hormonal increase due to pregnancy shielded women from mental illnesses such as depression. This idea was further supported by societal assumptions that every woman who is bearing a child should feel overjoyed due to the reality of an upcoming addition to the family. In time, a lot of sectors believed, even the mothers themselves, that depression usually occurs after childbirth; time has proven this conclusion wrong. One Is On Its Way, But Why Am I Feeling This Way? When depression strikes, regardless of gender, age, or social status, it will hit hard and bad. For the majority of expectant mothers, old and new, having a child is equivalent to a prayer answered; the thought that after a couple of months, they will be able to hold their newborn and marvel at the miraculous sight give soon-to-be moms the unequaled feeling of pride and joy. However, not everyone feels that way at one point in their pregnancy stage. Some women feel stressed, confused, anxious, and depressed upon seeing the two mocking lines on the strip. 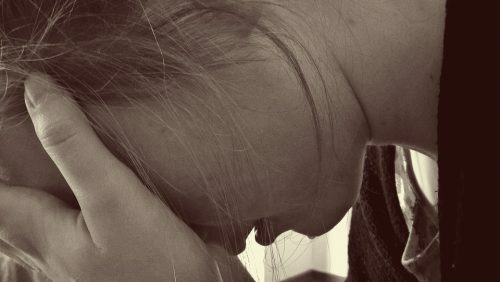 “There was a moment when I questioned my very existence that I no longer want to live, not even for my baby.” –a depressed mom’s daunting confession.